Ships from and sold by industrialproductsltd. 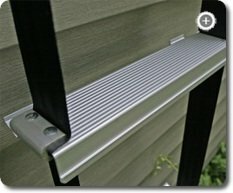 The Werner 2-Story Built-In Fire Escape Ladder features 12 non-slip steps and mounts easily to an existing wall. 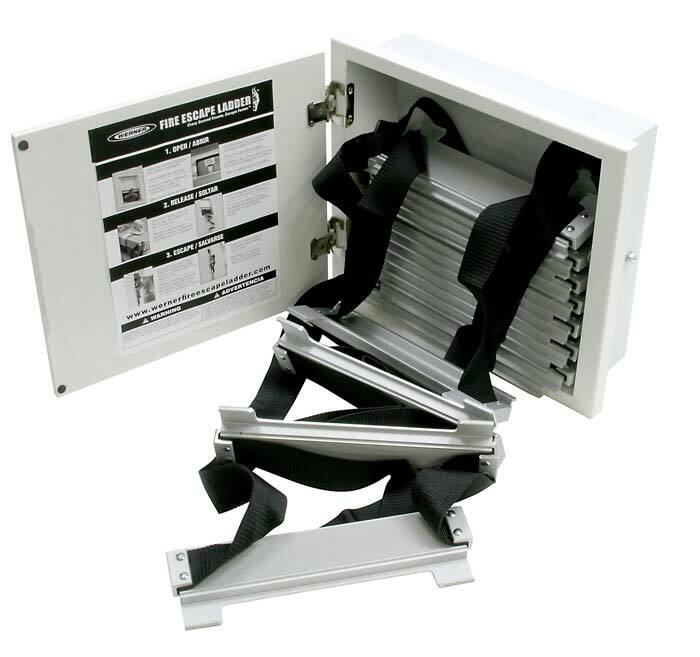 Designed as a safe and easy-access emergency exit, the self-deploying ladder rungs support up to 1,200 lbs. and extend into a full ladder when dropped out of your window. The convenient design deploys in just seconds and can also be painted to match your wall, creating an unobtrusive look in any room. Fast-escape design supports up to 1,200 lbs. During a fire, every second counts. That's why the Werner ESC-220 Two-Story Fire Escape Ladder is made to help you and your family evacuate your home quickly. 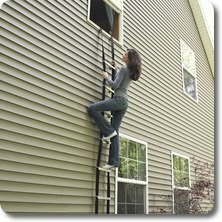 Designed for placement on your home's second story, this durable ladder installs in the wall below a window, so it's always ready to go and can never be misplaced. Sturdy, easy-to-deploy ladder extends to 17' 2"
Folds compactly into convenient compartment and extends to 17-feet 2-inches. View larger. 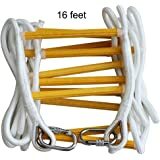 Nylon webbing and anti-slip flat rungs and stand-offs provide strength and durability. View larger. According to the U.S. Fire Administration, a small flame can grow out of control in 30 seconds, turning into a major fire that threatens serious injury or death. Moreover, most residential fires occur at night while we sleep, and they spread too quickly for the fire department to respond. 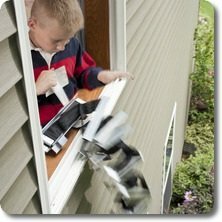 For the best chance of survival, families need to be able to escape from an upstairs window within 30 seconds. The ESC-220 makes that possible. In the event of an emergency, you need to secure your family, not your fire ladder. That's why the ESC-220 permanently installs into the wall below a second-story window. This clever design means you'll never spend wasted time trying to locate your emergency ladder. An added bonus, the ESC-220 blends with any décor, as it can be painted or wallpapered to complement your room. 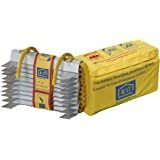 Because you have only seconds to exit a burning home, the ESC-220 is easy to deploy--it fully extends to 17 feet, 2 inches when the release tab is pulled. 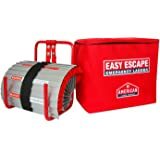 This escape ladder is also incredibly strong and sturdy, with heat-resistant nylon webbing and anti-slip flat rungs and stand-offs. 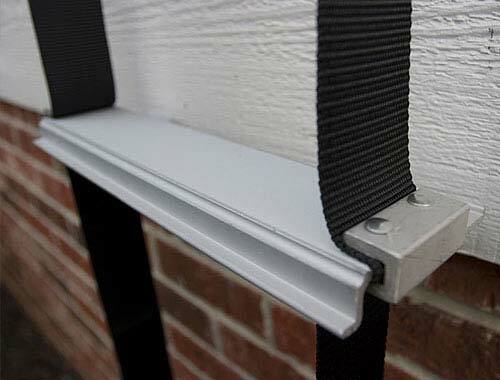 To help keep you steady, a helpful first-step assistance strap provides safety and stability. 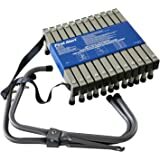 What's more, the ESC-220 holds up to 1,200 pounds, which allows multiple family members and rescue professionals to use the ladder at the same time. 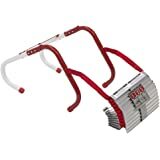 And unlike one-time-use fire ladders, the ESC-220 can be repacked and used for practice drills. Werner is a manufacturer and distributor of professional fiberglass, aluminum, and wood climbing equipment. With its beginnings as a floor covering and molding business, Werner has evolved over the past 60 years into a climbing equipment leader. Today, Werner ladders are found on more trucks and jobsites than all other ladder brands combined. 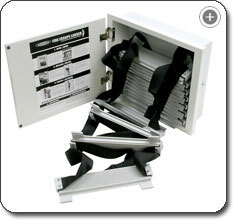 ESC-220 Fire Escape Ladder; hardware assortment; installation template; and insulation sheet. 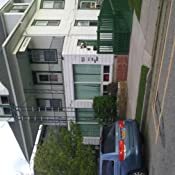 We purchased this 3-story ladder and the 2 story ladder for our home. This product is a sturdy and well constructed product! We were looking for something that would be a permanent fixture instead of having to fumble with a removable ladder in an emergency situation. Knowing that the product is securely attached and the operation is as simple as toss out window and remove retaining strap brings great piece of mind! ***As a side note, please beware who you buy this product from. I ordered this product from Seven2Four and the package was drop shipped directly from another retailer (acmetools). I am currently working through this clear drop-ship violation. 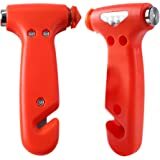 If you find Acme Tools as the seller here or visit them directly, the price is significantly cheaper from there and the shipping is very reasonable. Beware of inflated drop-ship pricing from different retailers on Amazon. 5.0 out of 5 starsReally easy to install. Install was really easy. It recesses in the wall and fits between two standard studs. You remove the drywall, remove the insulation, screw it in and that's about it. It's very well made and has a cover over it so when not in use, you don't even know it's there. My 4 year old can now climb down this from the second floor all by herself so I can sleep much better at night. Worth every penny. Just what I was looking for! Straight forward installation. Easy to deploy and repack. 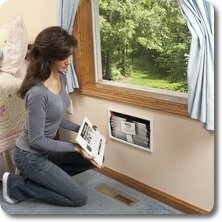 I bought and installed three of these in a third floor 3 bedroom apt. 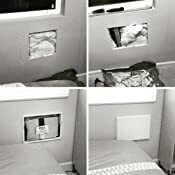 I sleep well at night knowing they are there in each bedroom and can be deployed basically by a 4 year old in the event of an emergency. If your serious about giving your occupants a chance to survive a fire, this is the best escape system. Don't fool yourself into believing the first generation of escape ladders are "good enough". Without daily training on removing the ladder from its box, unfolding and securing manually the window stays and untangling the chain ladder it is doubtful that during the panic and confusion of a smoke filled bedroom at 3am that anything will get done. Not to mention the boxed ladder may accidentally be move to another location than agreed upon. The Werner ESC330 will always be where you left it (below the window), it has been pre-attached to the structure of your house. And it simply needs to be dropped out the window for use. The ladder is made of strong seatbelt material and metal rungs. My wife easily deployed the ladder with only some verbal instruction. 5.0 out of 5 starsThe best of both worlds: Safety and Beauty. Other products were "one time use" only. That didn't sit well with me. This worked as advertised. Ready in a pinch and tested by my son and myself. Turned into a weekend project because of the stud removal but I'm very pleased with the final install and the peace-of-mind that comes with fire escape. Great great product! Takes some work to install. The framer was off on the studs by about 1/2 an inch so I had to use a chisel to make a little more space between the studs. Apart from that it was a fairly straight-forward installation. It blends in well with the wall when the lid is closed. I like having it always available right where I installed it. Only suggestion would be for them to coat the stand-off legs in plastic so the metal doesn't mar the side of your house when you test it out. I bought some liquid plastic to do it myself over the coming weekend. 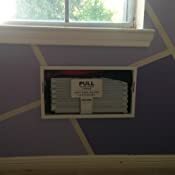 Fairly easy to install if you have basic carpentry skills. Came with good directions and a helpful template to tape to the wall. I decided on this product as opposed to a hook and ladder setup. Wasn’t sure if my 8 year old could get the hook and ladder setup from under her bed, hook it, open window, and climb down (especially if light/electricity is out). 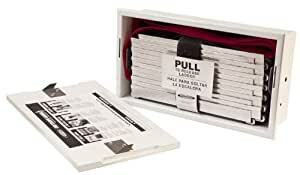 This product takes a couple crucial steps out of the process and during our fire drill, my 8 year old daughter could easily get out of the house. 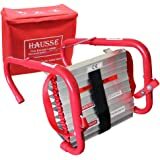 I would recommend this product to households with young children, even though it is more expensive than the hook and ladder style.